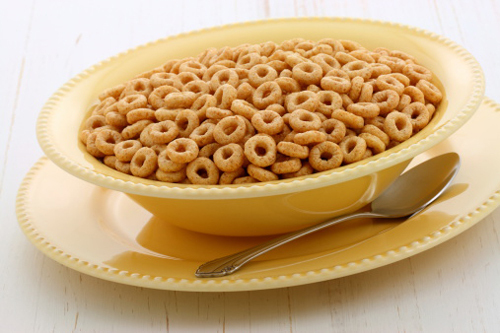 General Mills, the company that produces “Cheerios” cereal, has become the recipient of a class action lawsuit by the Center for Science in the Public Interest (CSPI) over their Cheerios Protein product. The lawsuit alleges that General Mills has engaged in deceptive advertising by marketing Cheerios Protein as a high-protein alternative to its regular version. Specifically, the CSPI complaint is that Cheerios Protein contains a negligible increase in protein content compared to regular Cheerios, that the source of the protein increase is due to manipulations of the suggested serving size, and that Cheerios Protein also contains an unacceptable level of sugar per serving in excess of FDA guidelines. The CSPI is asking for General Mills to be held liable for punitive and actual damages and attorney’s fees and to destroy all relevant advertising and packaging materials related to their claims about Cheerios Protein. The class covered by the lawsuit includes anyone in New York or California who purchased Cheerios Protein for personal or family use since March 1. The standard Cheerios product has a recommended serving size of one cup, or 26 grams (g) of cereal. This amount contains three grams of protein and one gram of sugar. Cheerios Protein has a recommended serving size of one-and-a-half cups, or 55g. This contains seven grams of protein and 17g of sugar. According to regulations by the Food and Drug Administration, a product can only make a claim of being a “good source” for a nutrient if it contains 10-19% of the recommended daily intake or daily recommended value for that nutrient. As the nutrition label on Cheerios Protein notes, the seven grams of protein it contains is 10% of the daily value and rises to 18% (11g) if milk is added. The CSPI contends that the four-gram protein difference between Cheerios Protein and regular Cheerios is primarily attributable to the larger serving size. They also note in the complaint that the Federal Trade Commission, the CDC, and the Department of Agriculture advise that children receive no more than 13g of added sugar in any one food serving. General Mills has released a statement saying that they flatly reject the “publicity-seeking” claims by the CSPI. Their spokesperson asserts that Cheerios Protein contains 18% more protein by weight than the original Cheerios product. None of the CSPI claims have been proven in court. This is not the first lawsuit that General Mills has faced over its Cheerios products this year. It was sued at the end of October over issues relating to a manufacturing error that saw some of its ostensibly gluten-free Cheerios products contaminated with wheat flour. Wong, V., “General Mills Is Being Sued Over Cheerios Protein Claims,” BuzzFeed web site, November 11, 2015; http://www.buzzfeed.com/venessawong/general-mills-is-being-sued-over-cheerios-protein-claims#.opZ95m9o7o. NANCY COE, TORI CASTRO, and PAMELA MIZZI, individually, and on behalf of those similarly situated, v. GENERAL MILLS, INC. 2015. United States District Court for the District of Northern California, 3:15-cv-05112. Document No. 1.